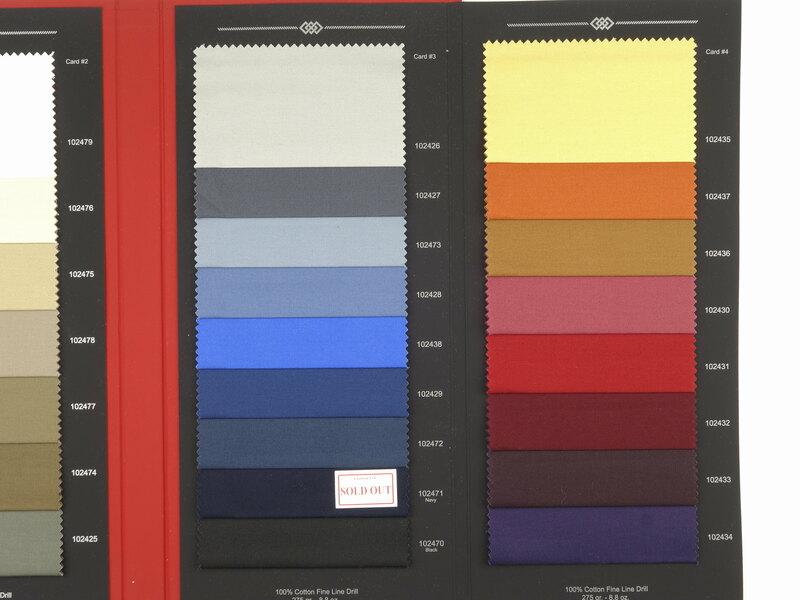 The famously breathable travel suiting from Hardy Minnis, now at lower-price CL3 level. 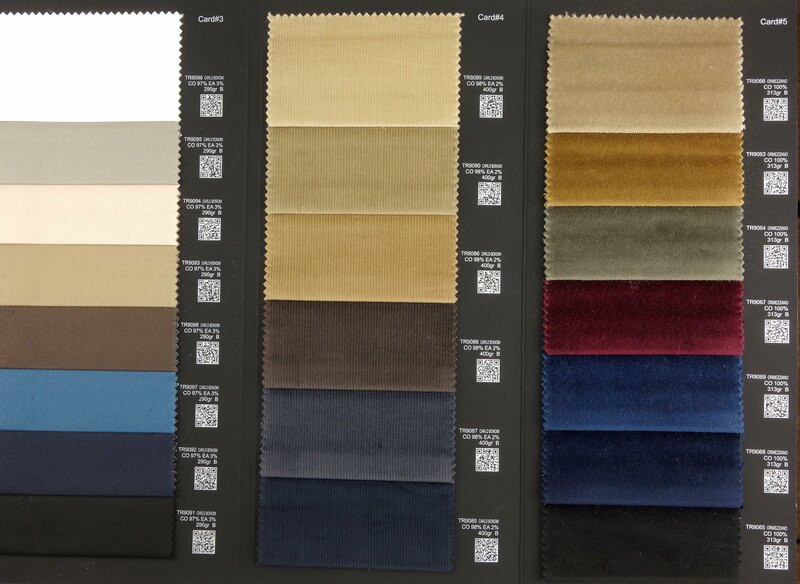 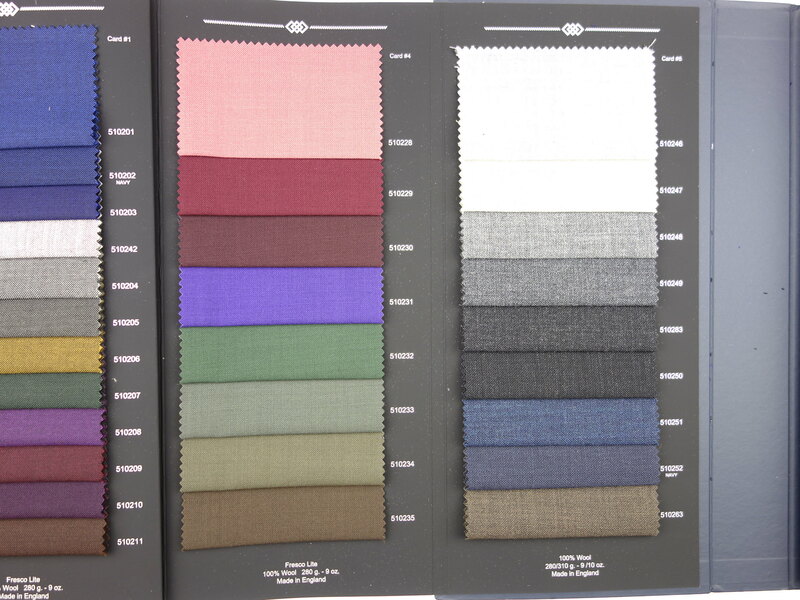 Includes classic Fresco, 3-ply Fresco, wool-mohair Fresco, and Fresco Lite in a rainbow of colors. 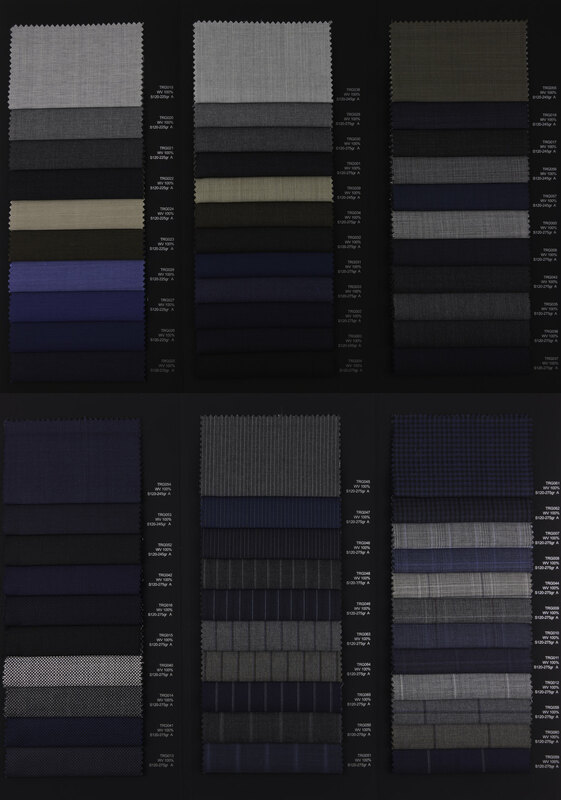 For stock status, check here. 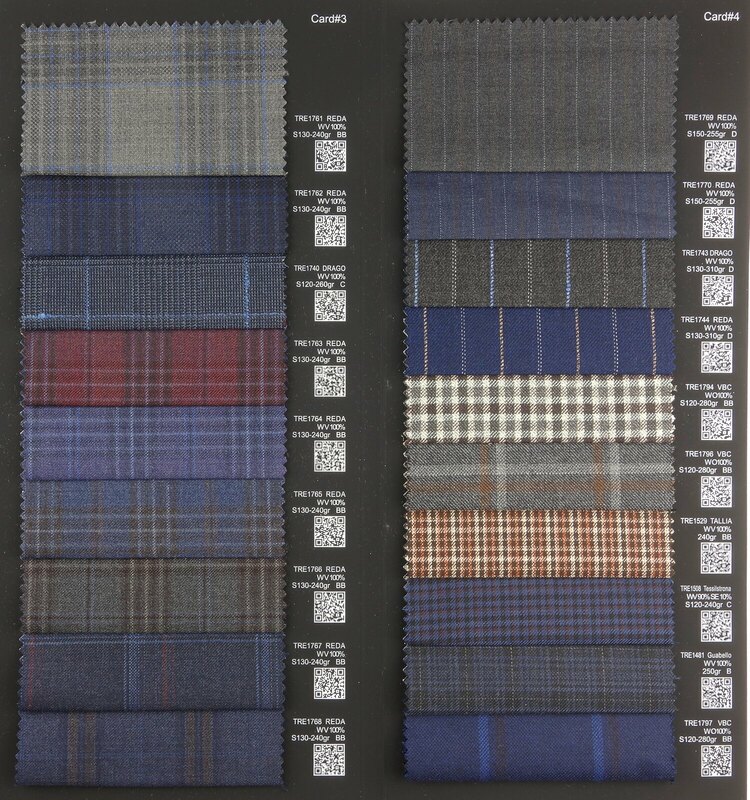 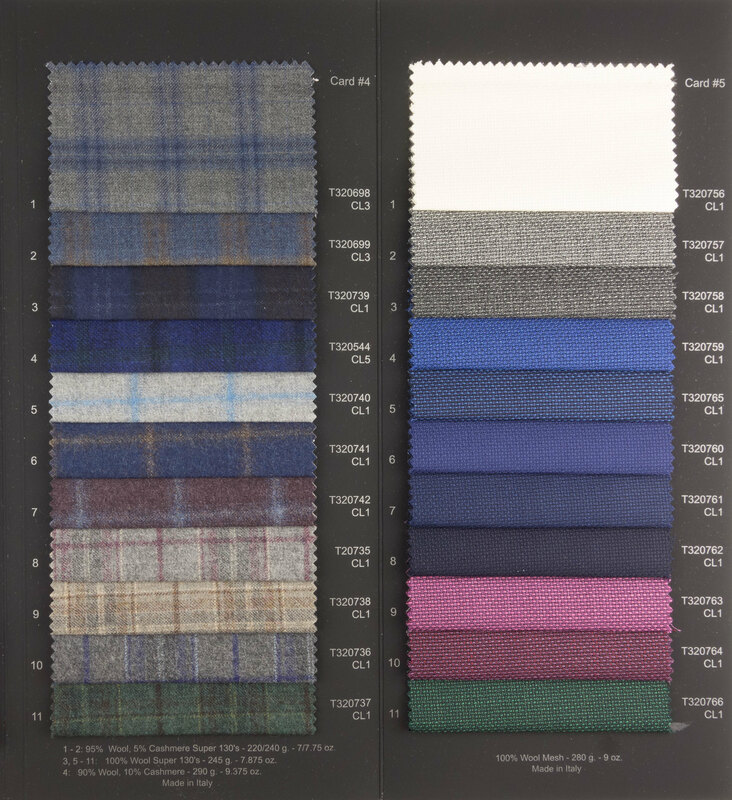 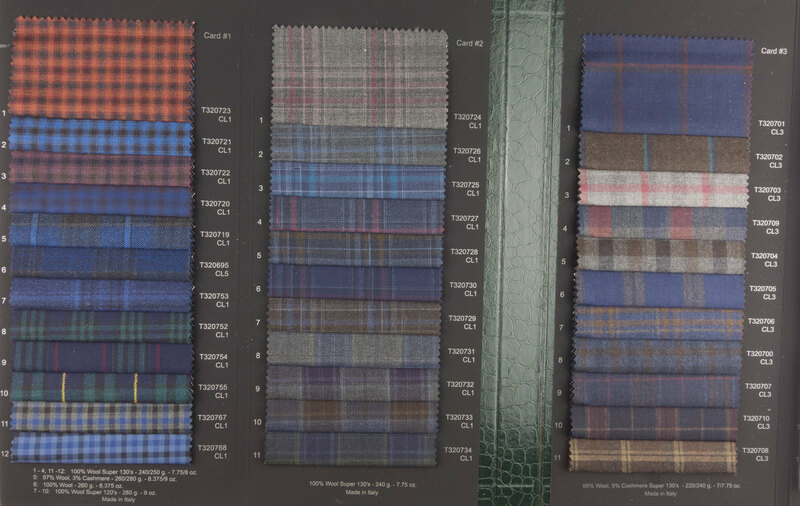 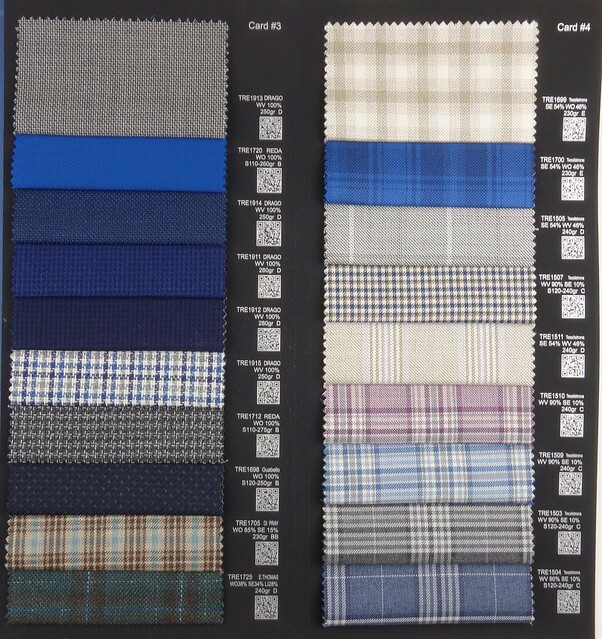 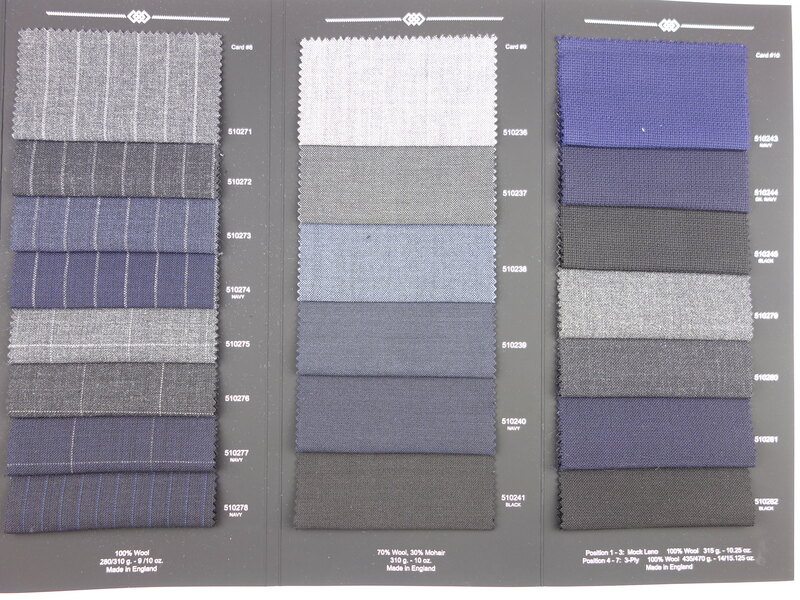 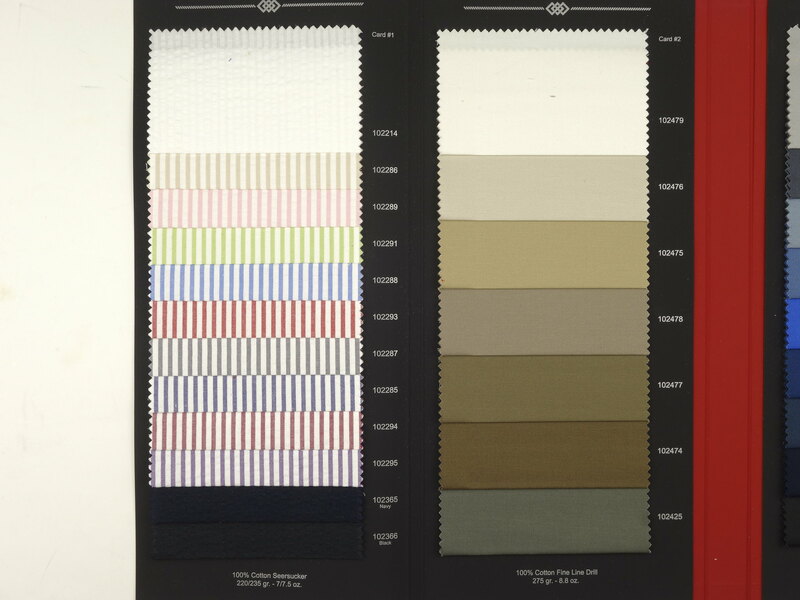 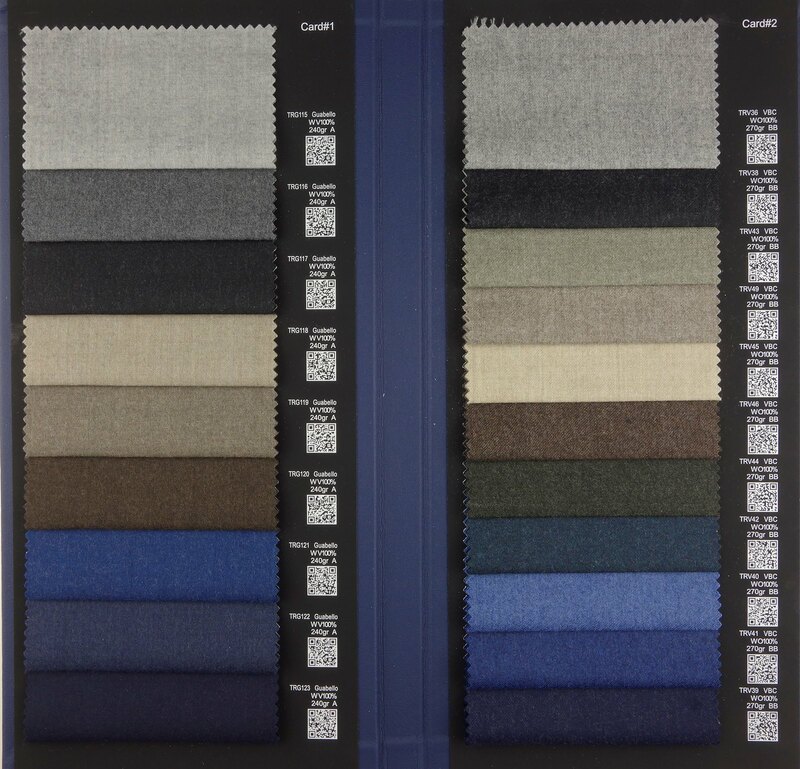 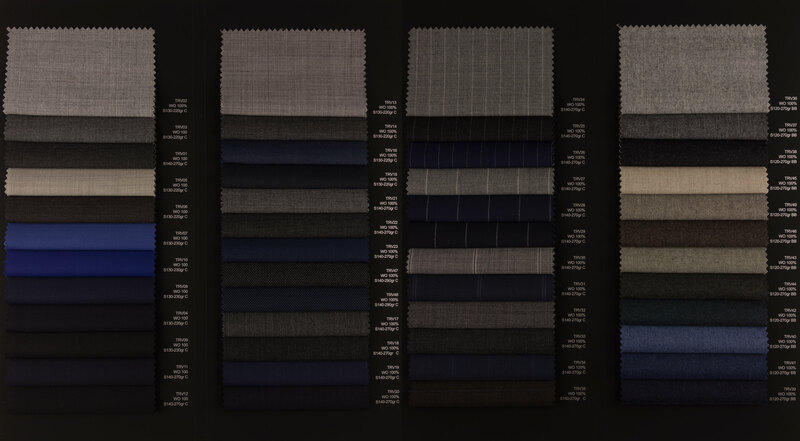 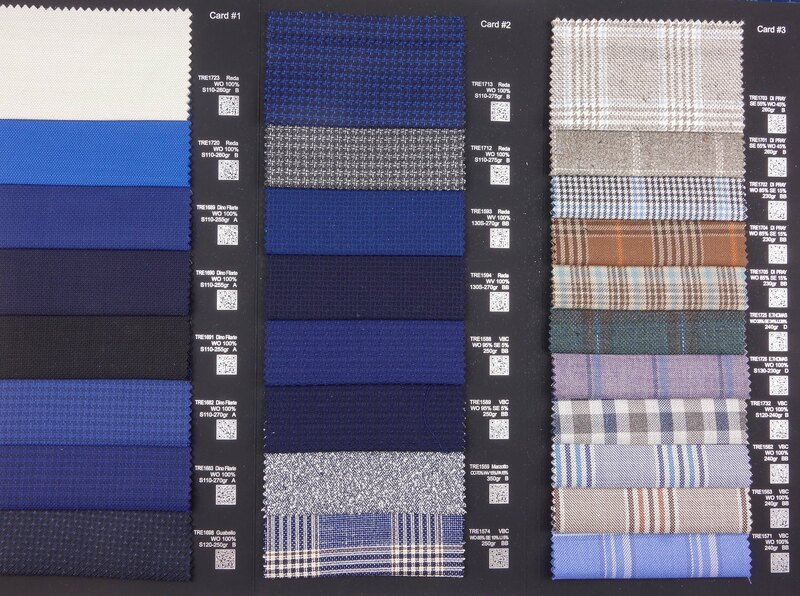 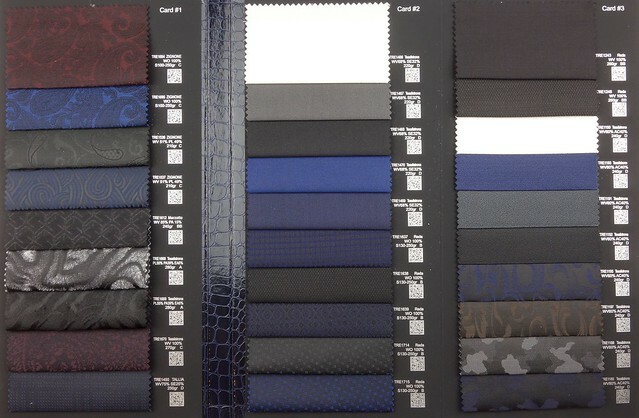 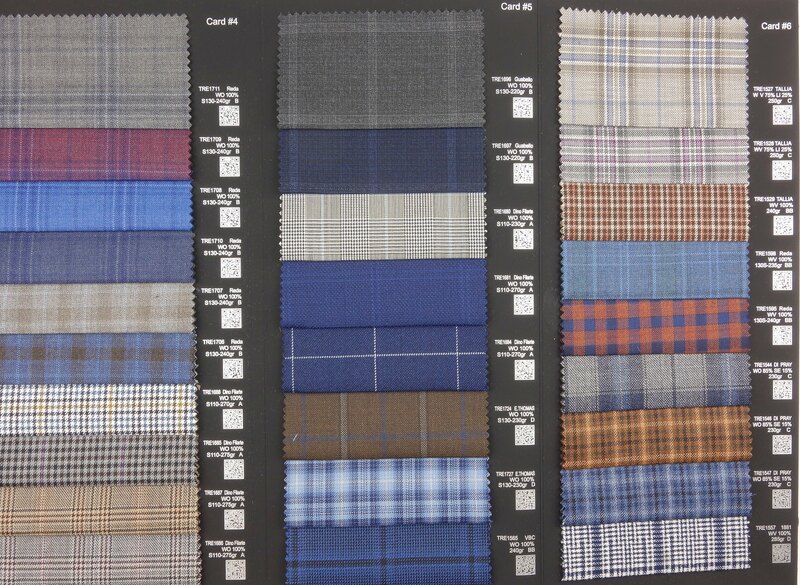 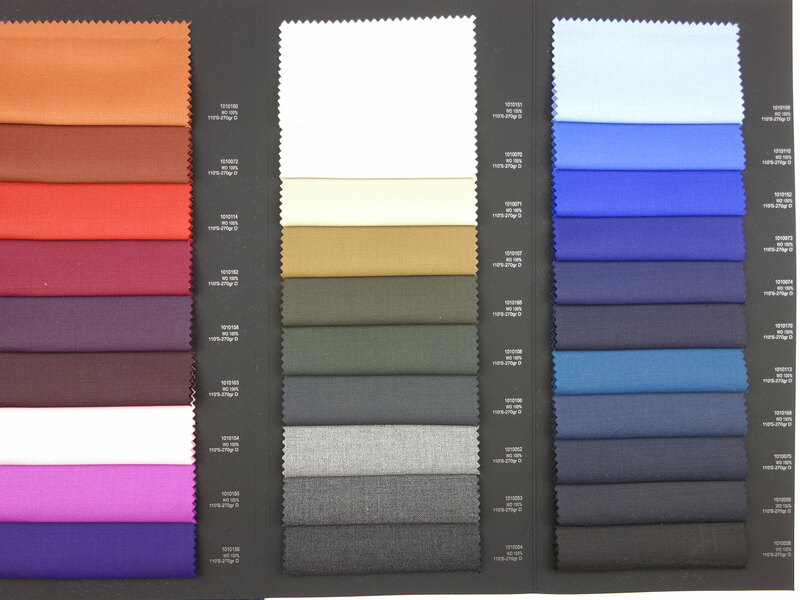 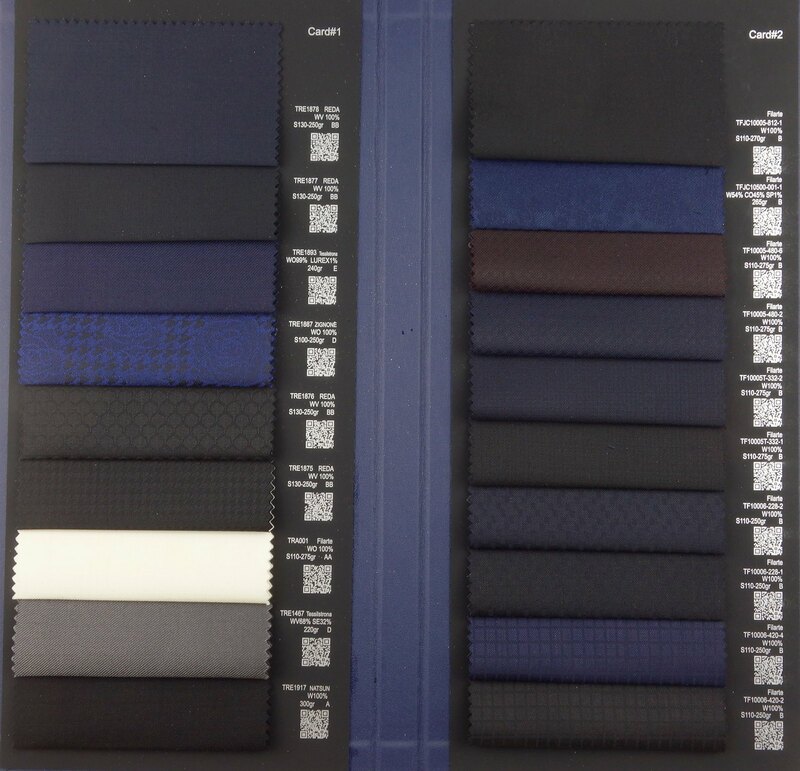 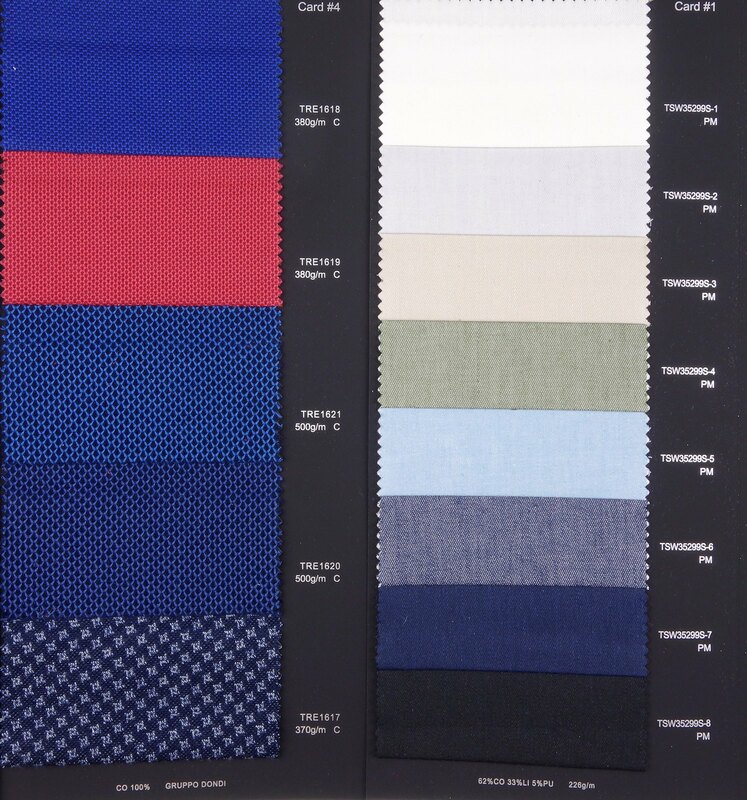 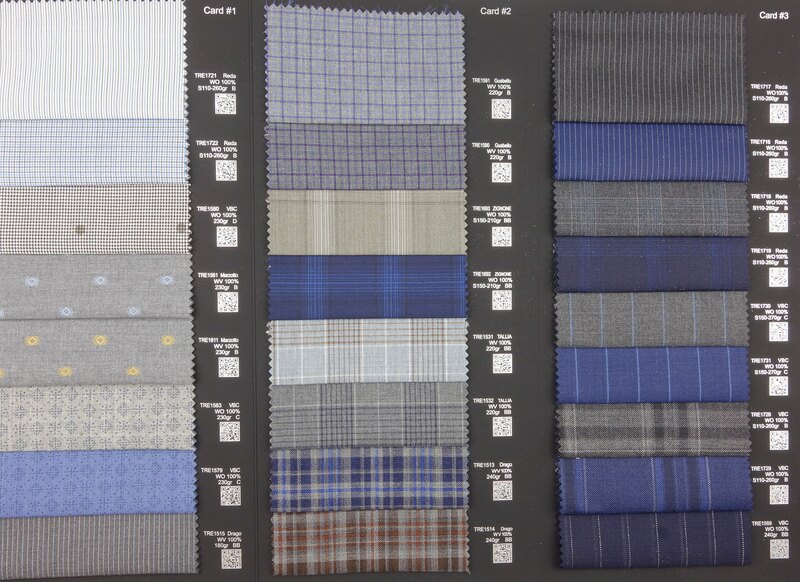 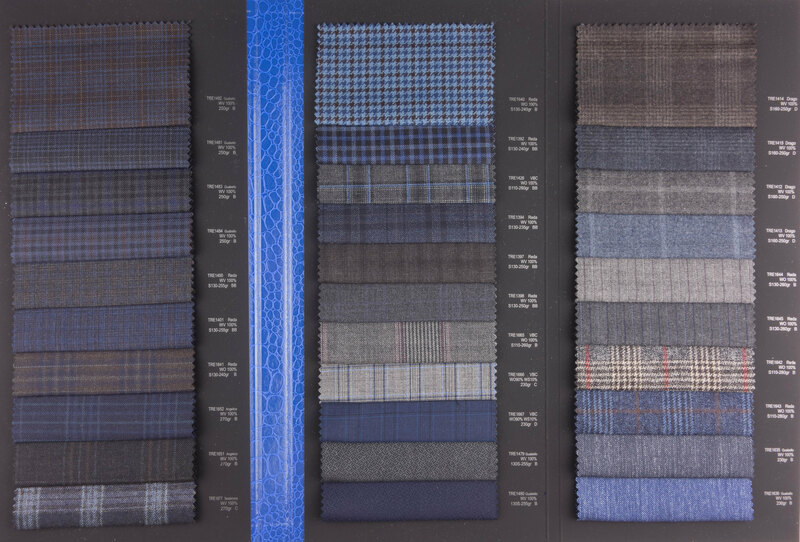 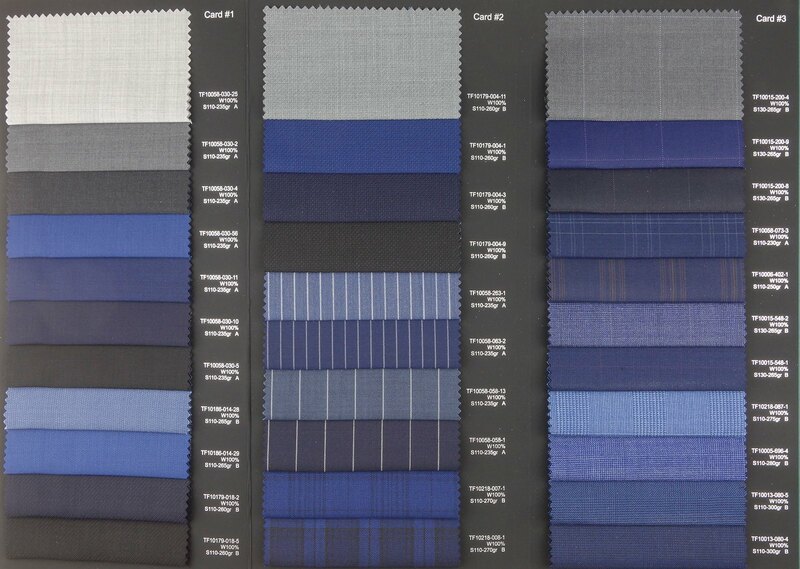 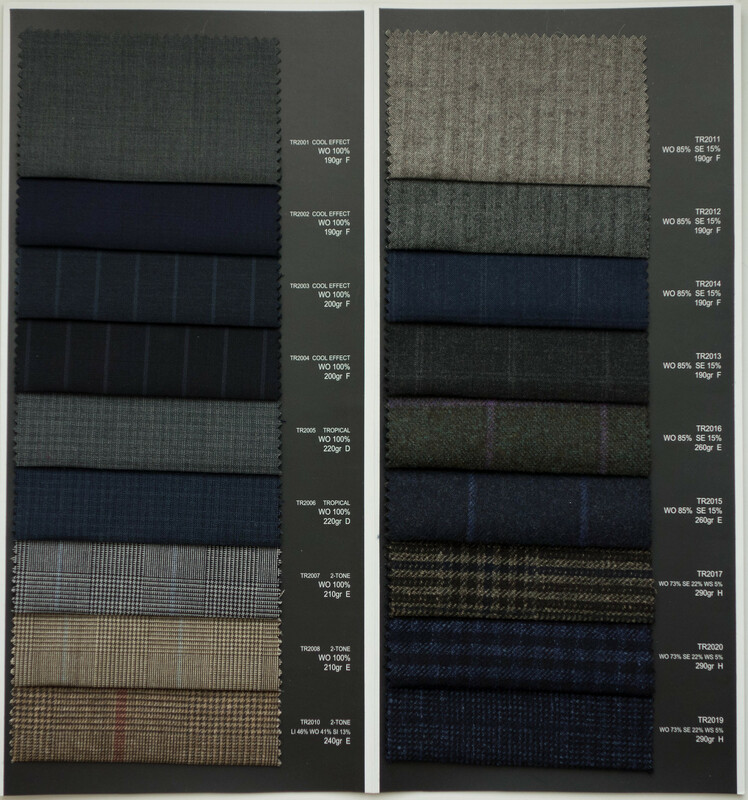 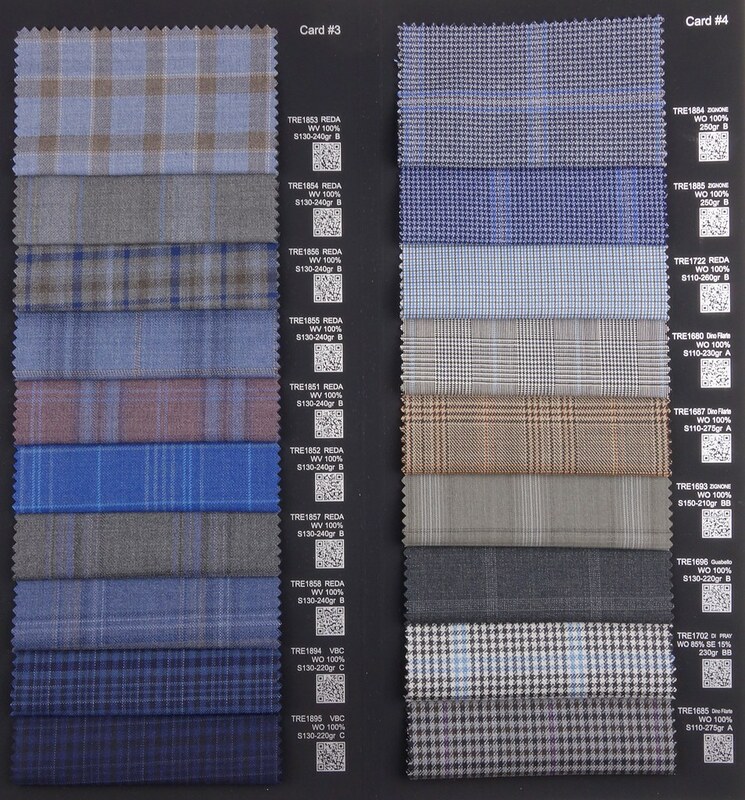 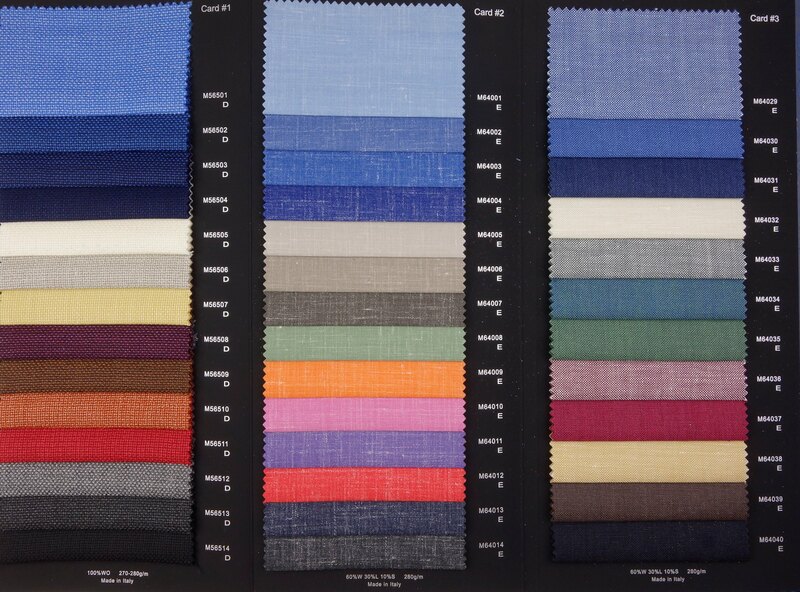 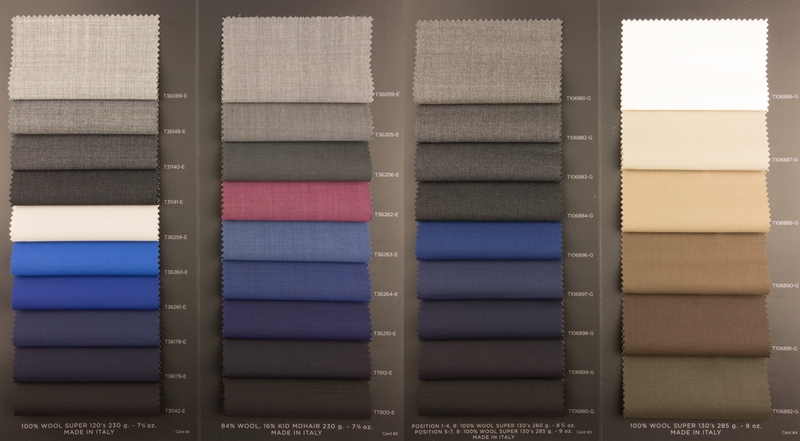 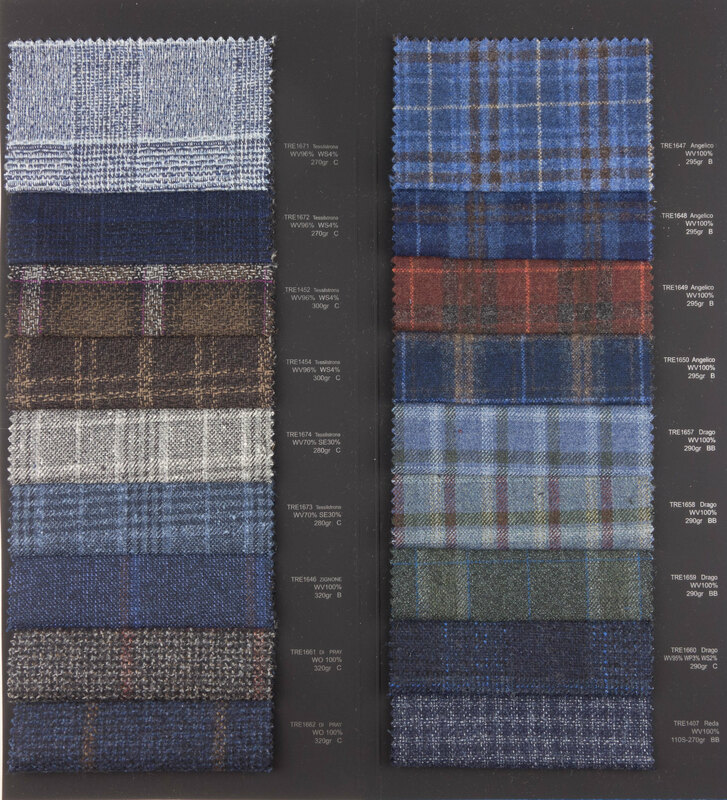 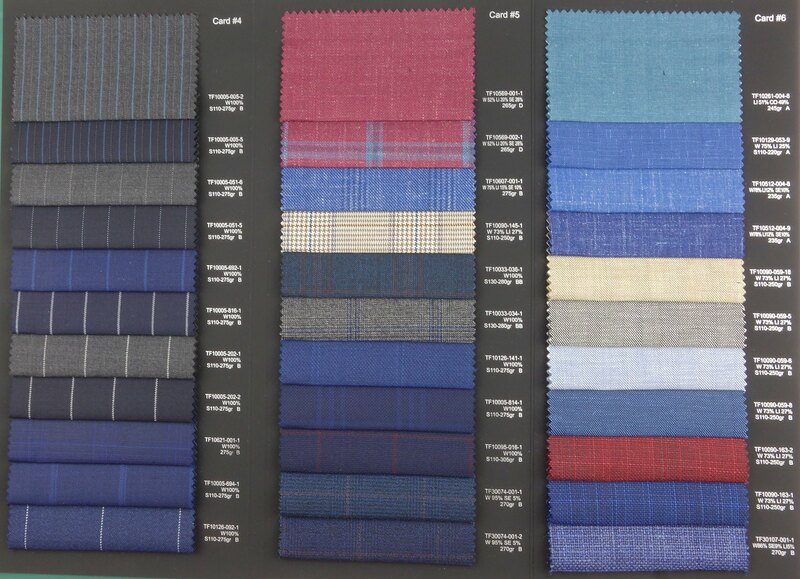 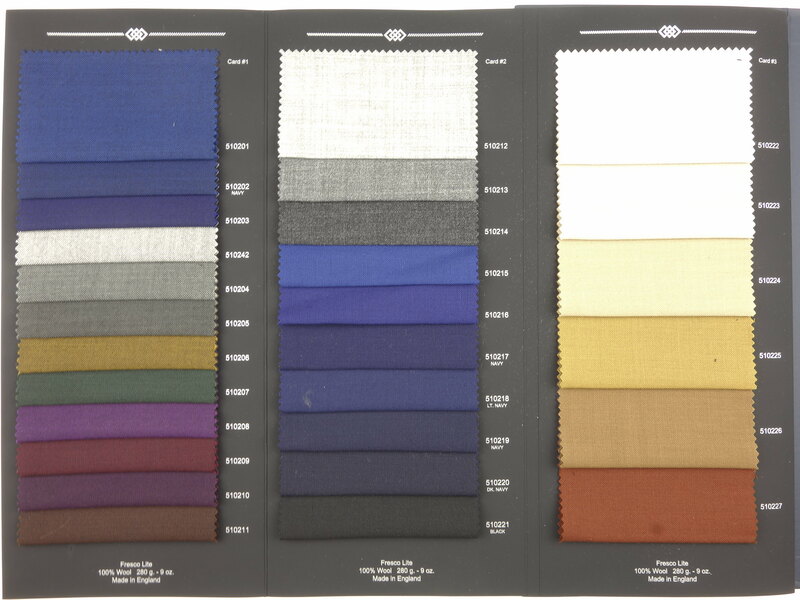 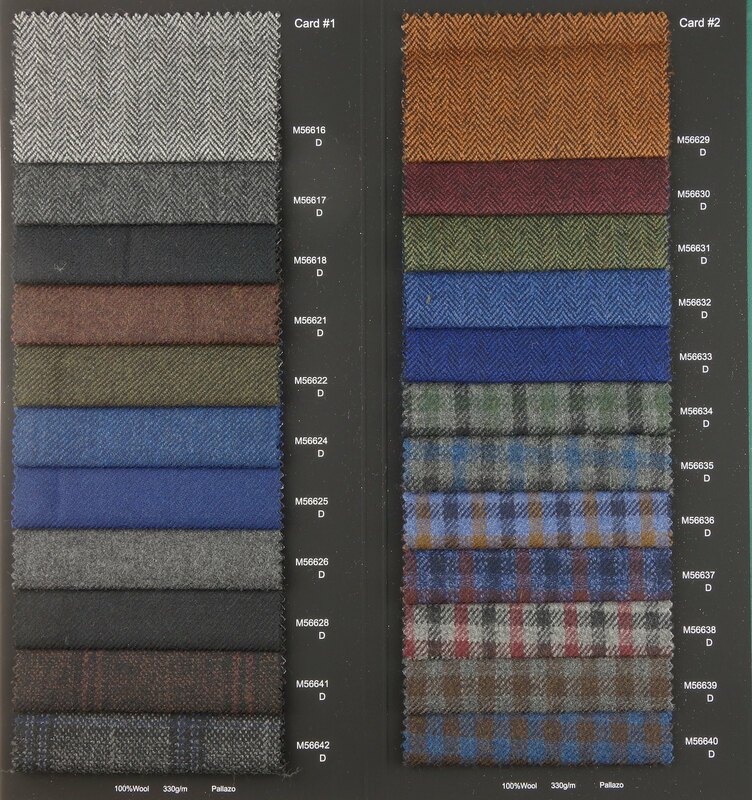 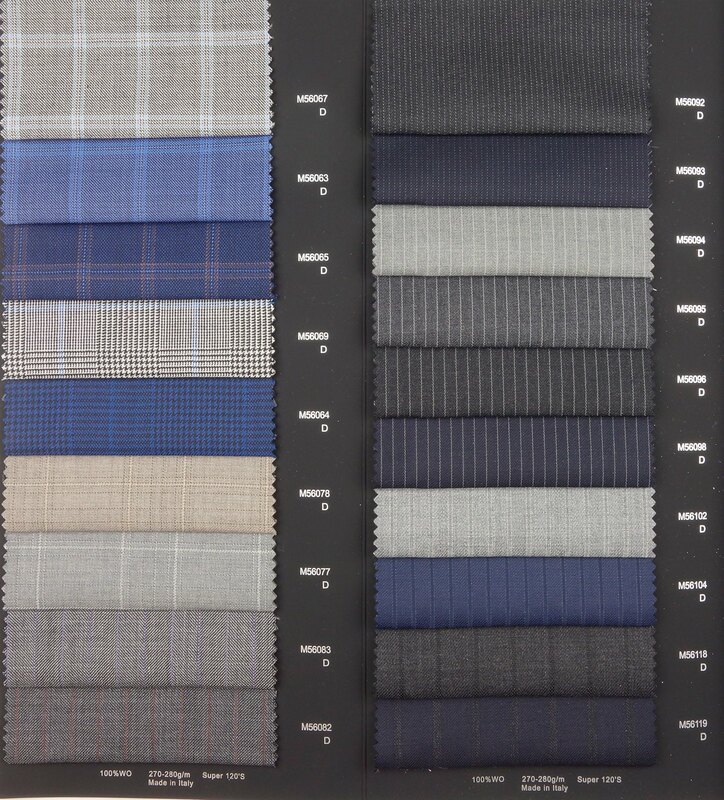 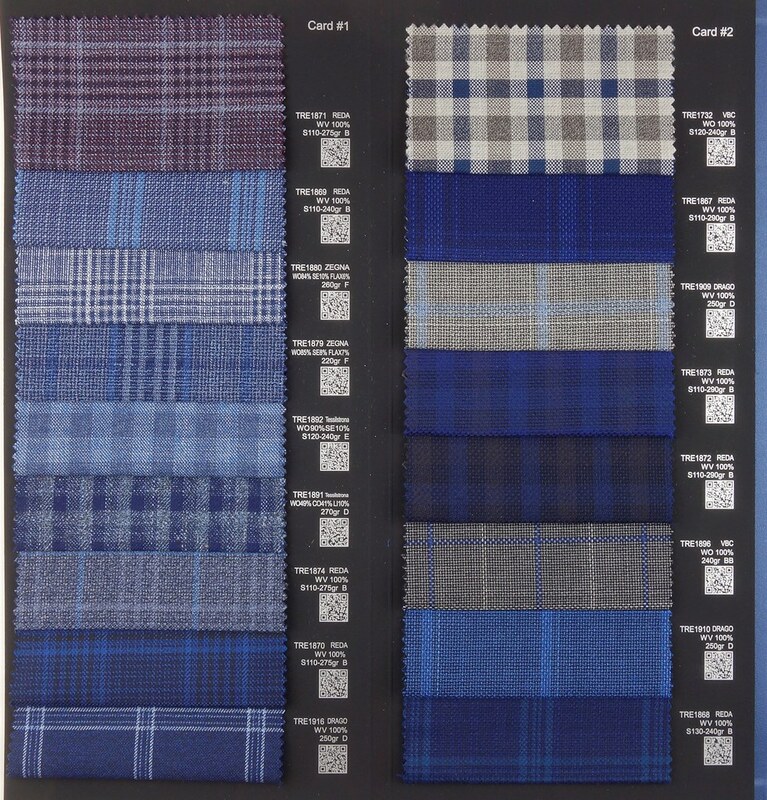 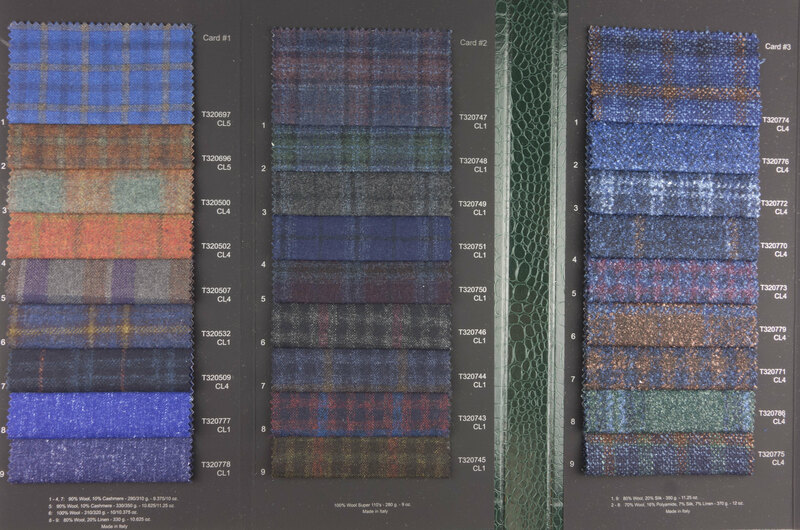 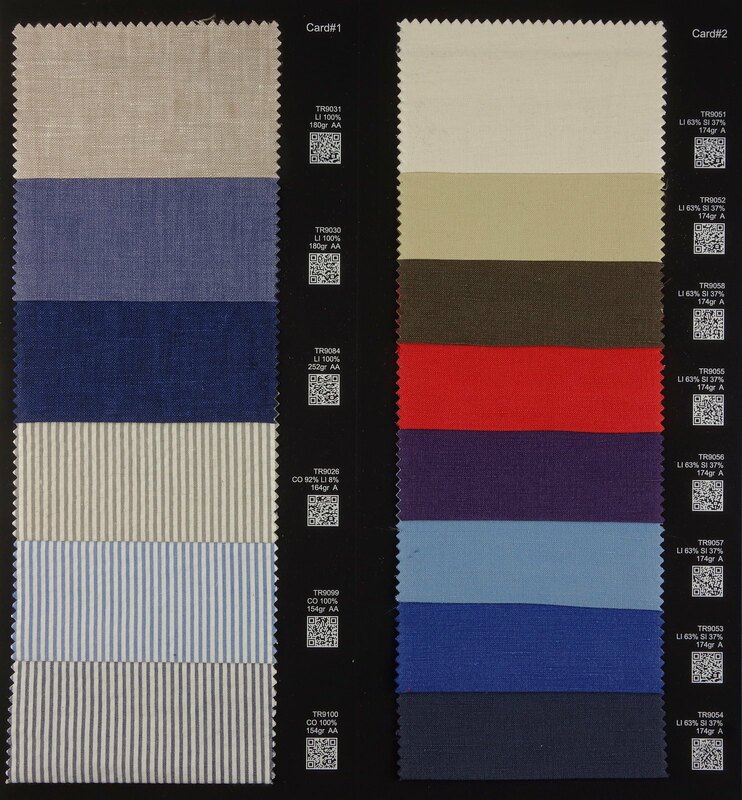 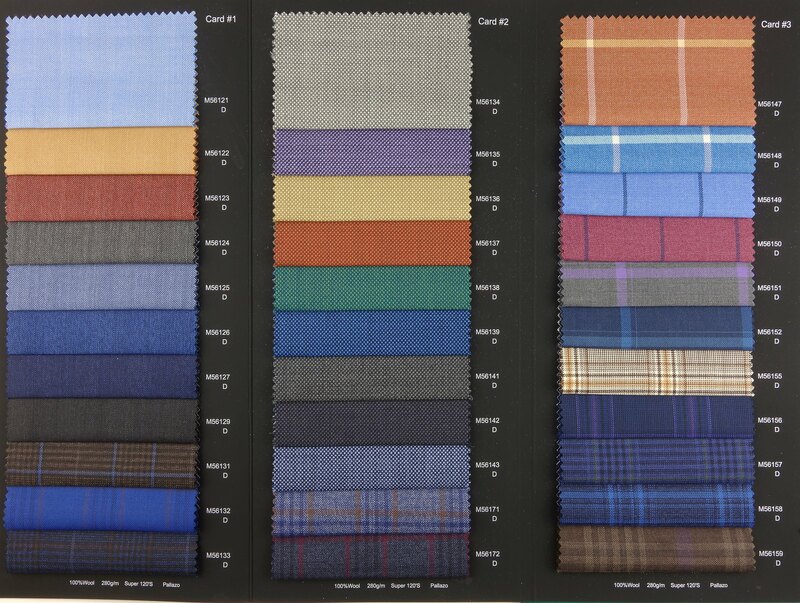 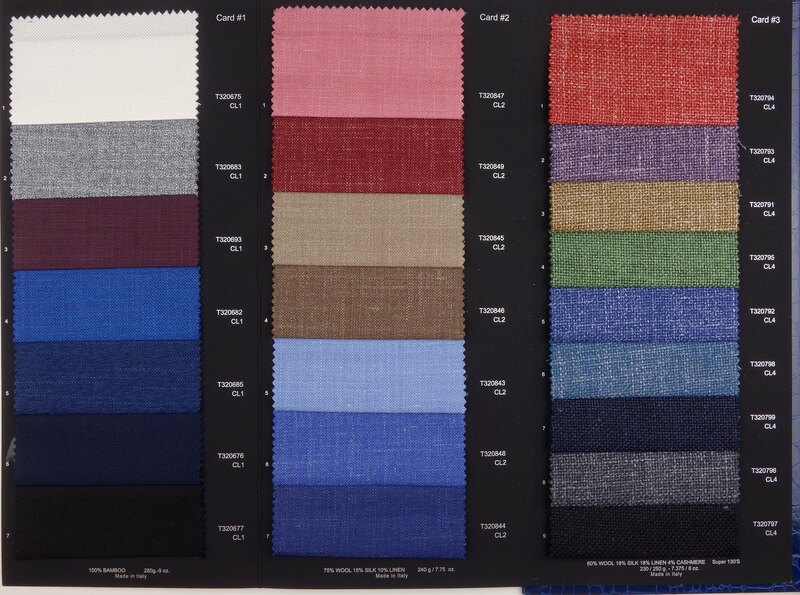 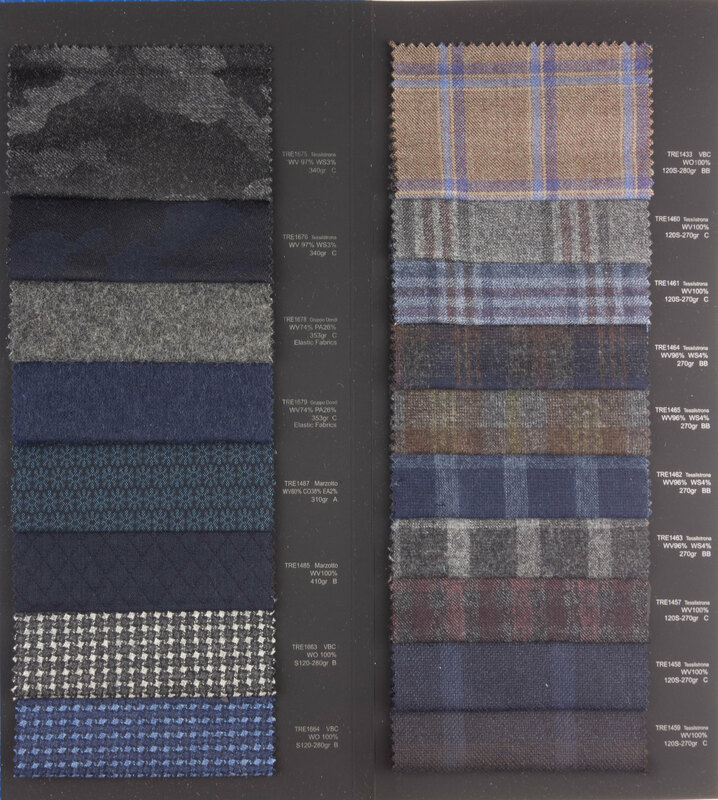 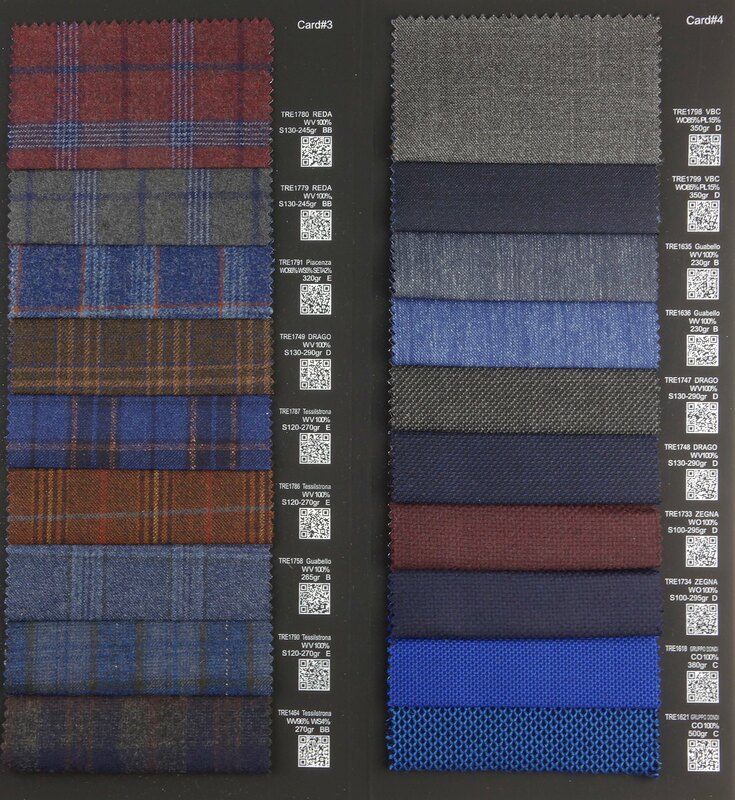 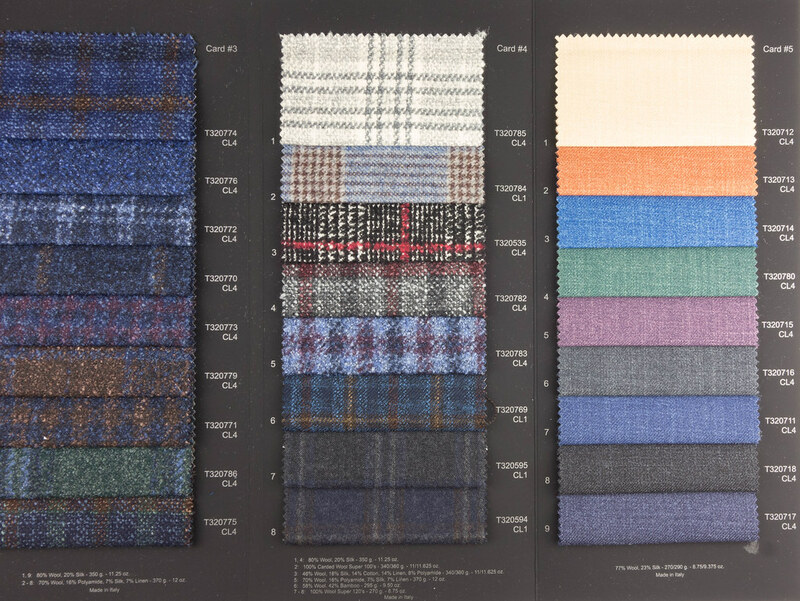 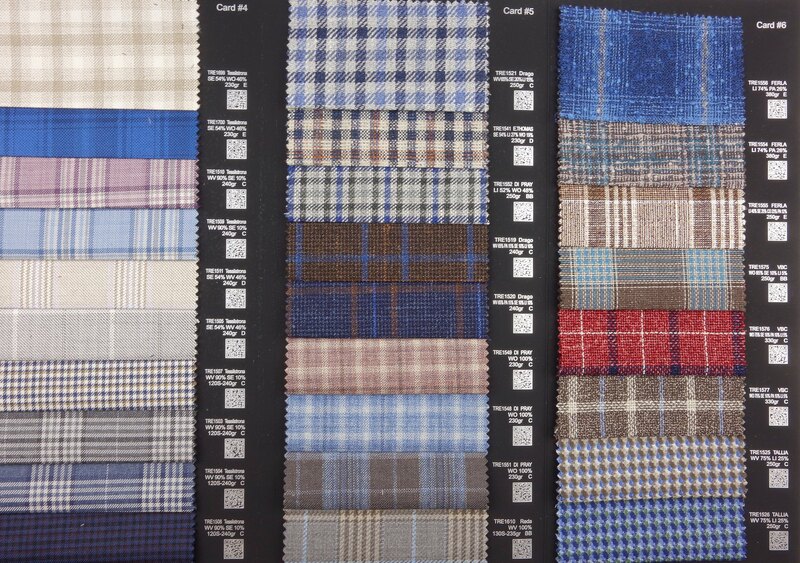 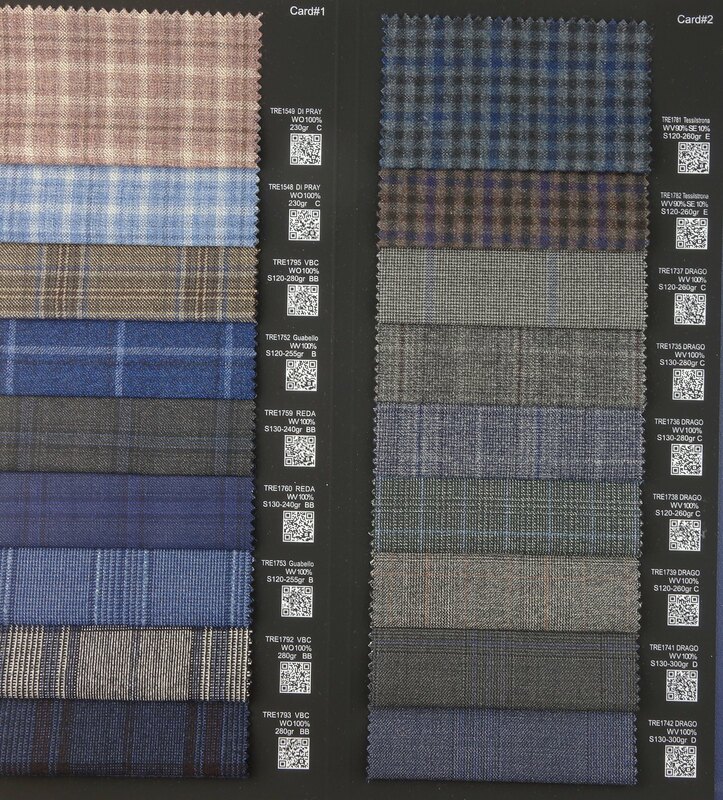 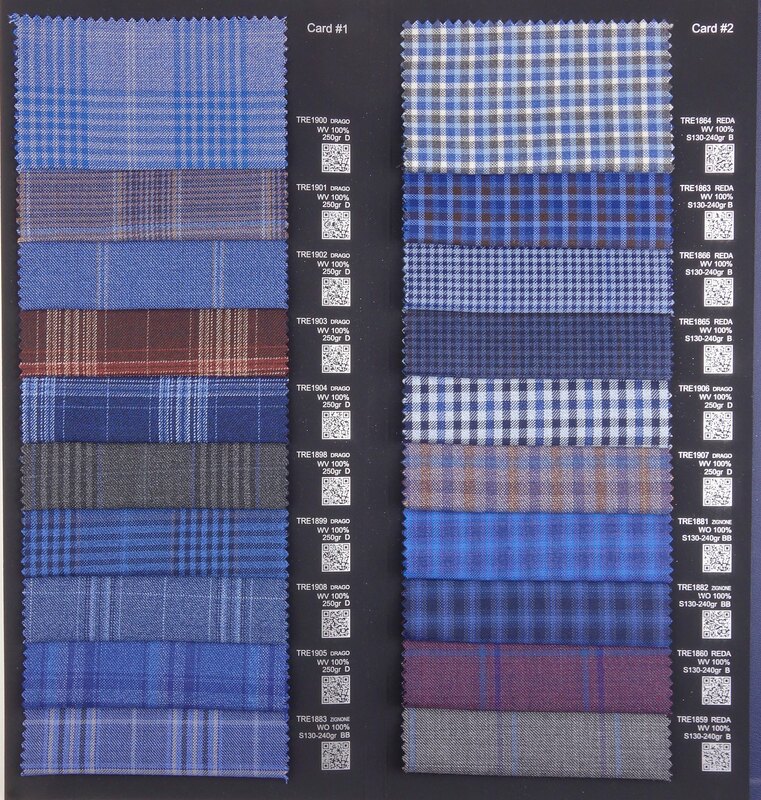 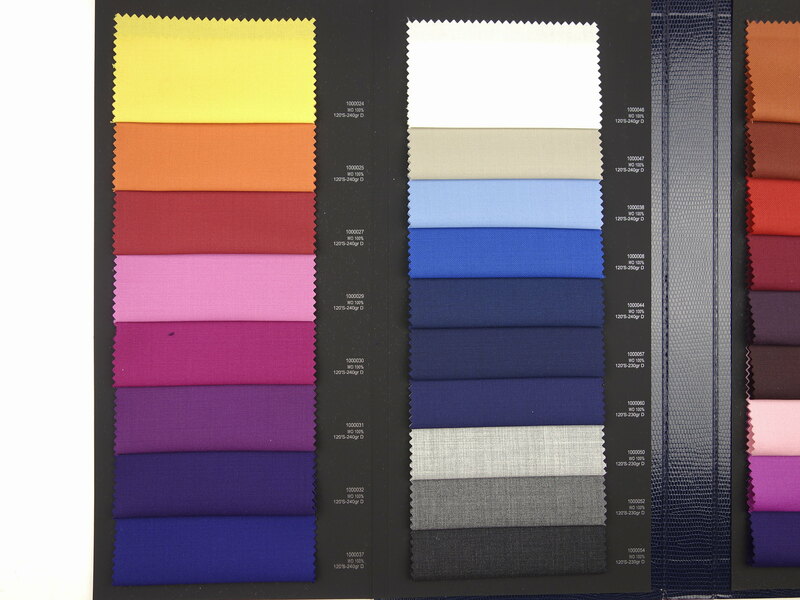 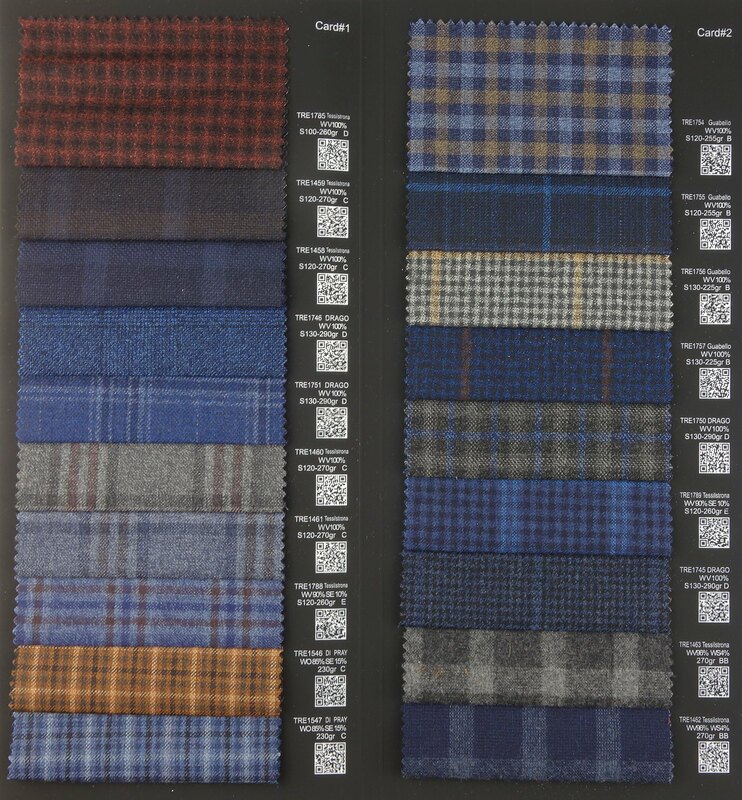 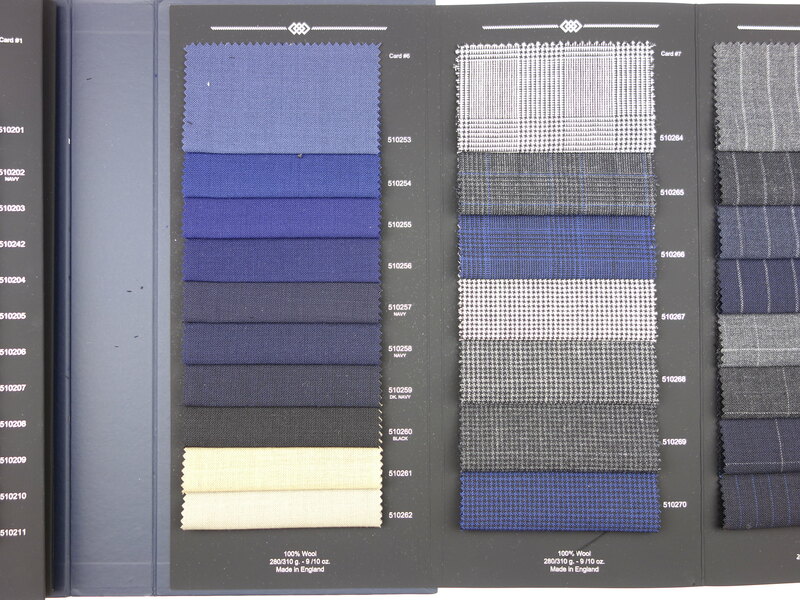 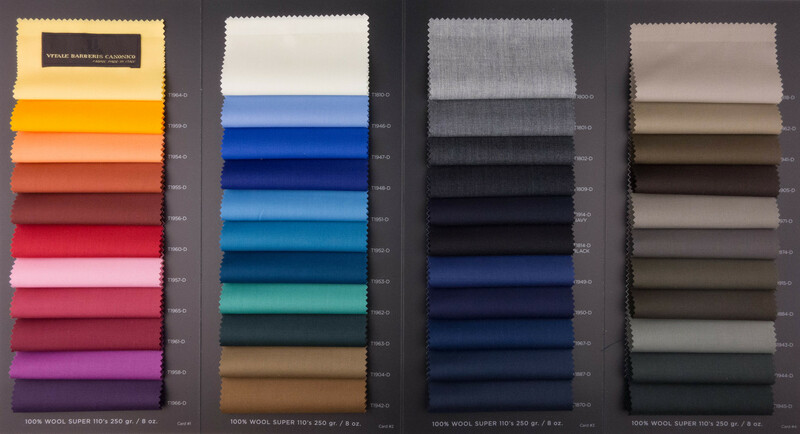 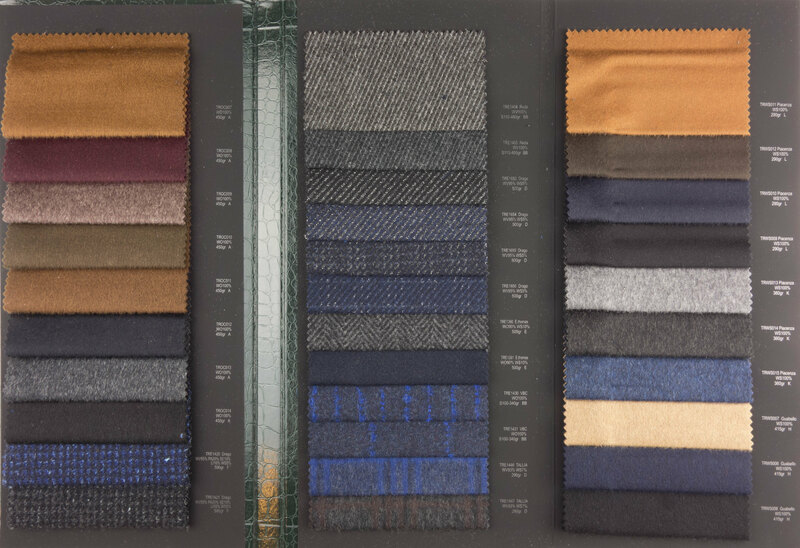 Many conservative fabrics are in the A price range, including the ready-to-wear charcoal suit. 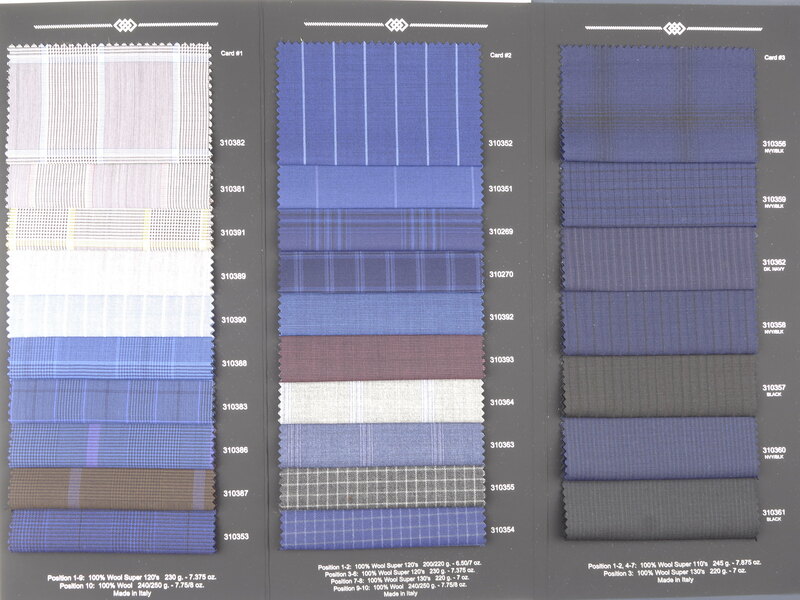 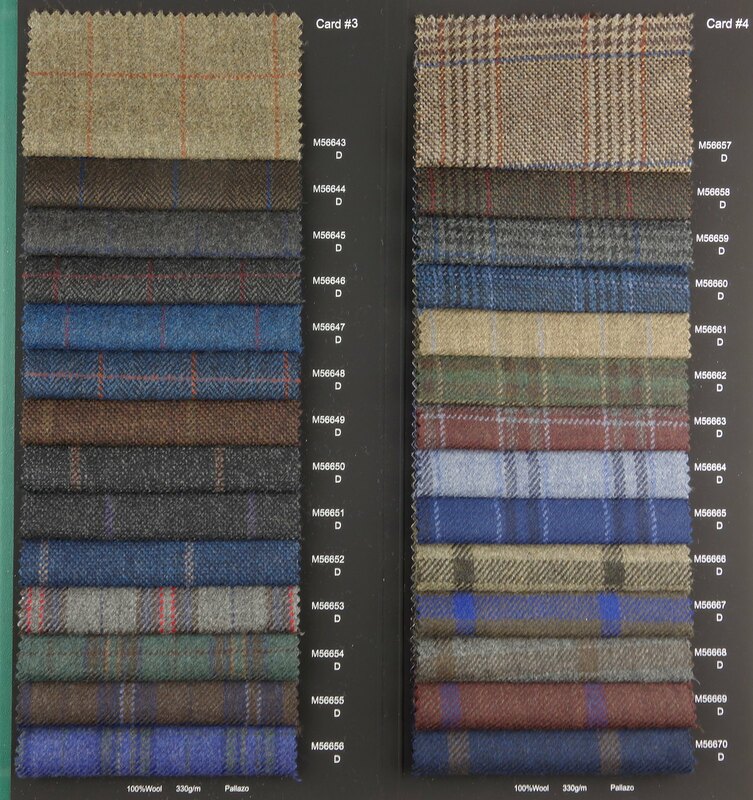 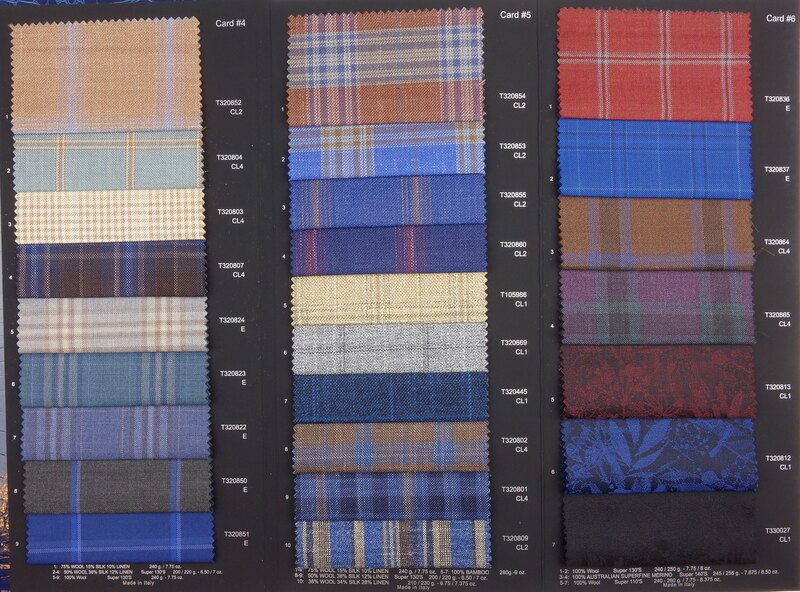 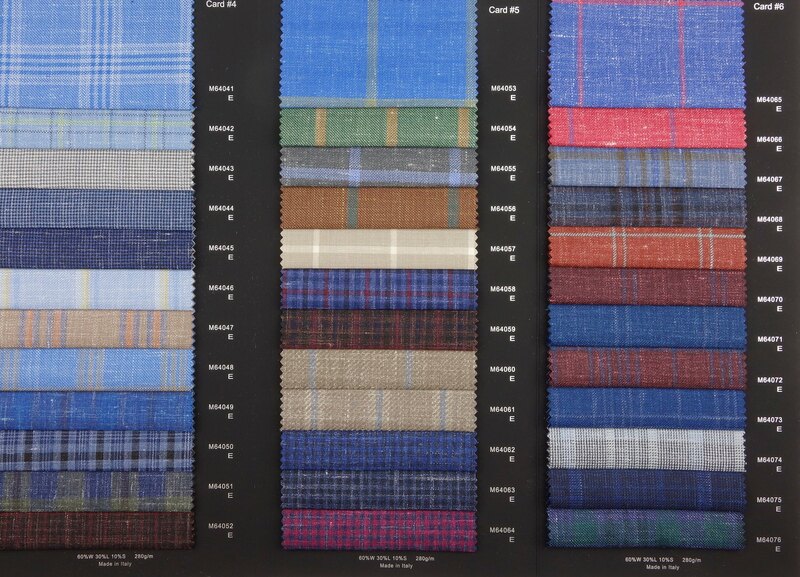 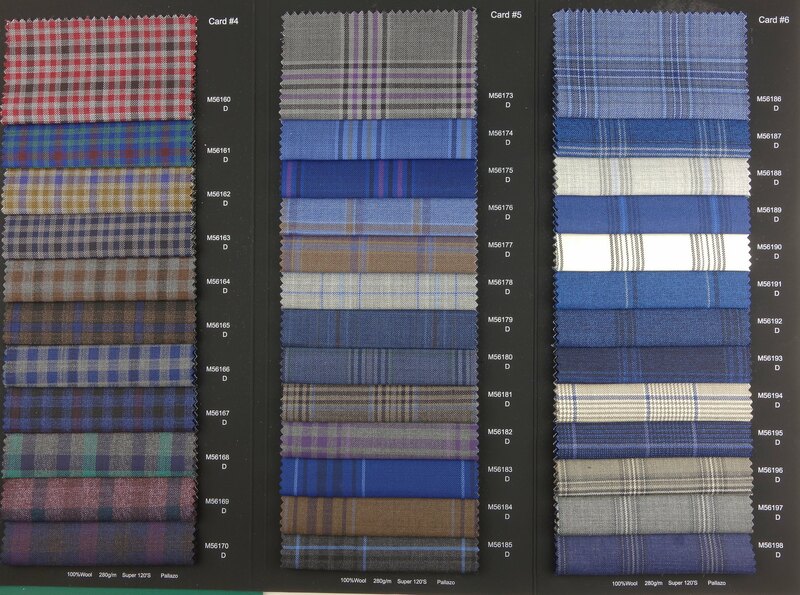 Other mills & merchants like VBC, Gladson, Ariston, Loro Piana, Zegna etc. 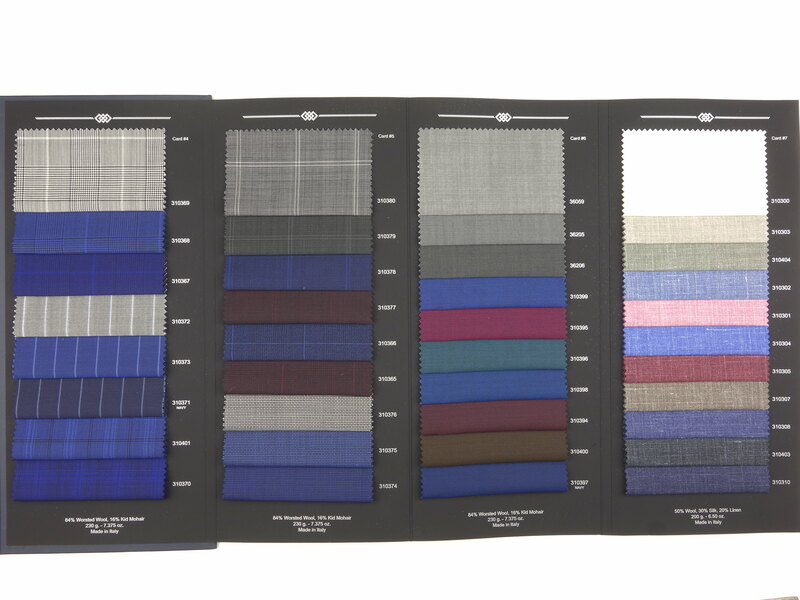 start at price range C.
Refer a new suit customer and you and your friend each get a $50 credit.